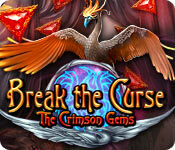 Break the Curse: The Crimson Gems is rated 3.5 out of 5 by 65. Rated 5 out of 5 by Shelly718 from PUZZLE LOVERS REJOICE! I bought this game solely based on the reviews and I was not disappointed. The game excels in all areas. Graphics, music, storyline, voice acting, but especially the puzzles! There is a preponderance of puzzles, a supremacy of puzzles, a momentousness of puzzles! And they are some of the highest quality I've see since SAFECRACKER. An added bonus was that there no tedious HO scenes to slog through. What an enjoyable way to spend an afternoon. If you enjoy a thinking game, you won't go wrong here. Rated 5 out of 5 by p2668 from FINALLY - PUZZLES FOR GROWNUPS! I am a lover of all mini-games and puzzles in a HOP game, and don't care a lot for the hos, so this is really my type of game. It has a lot of replay value, for sure. I'm not sure why the new games, have such lame and easy puzzles now, and they seem like just fill-ins. I have been looking for a game with lots of challenging puzzles, and I think I found one that really exercises the old noggin. Too bad it doesn't support wide screen, but I will still buy anyway. 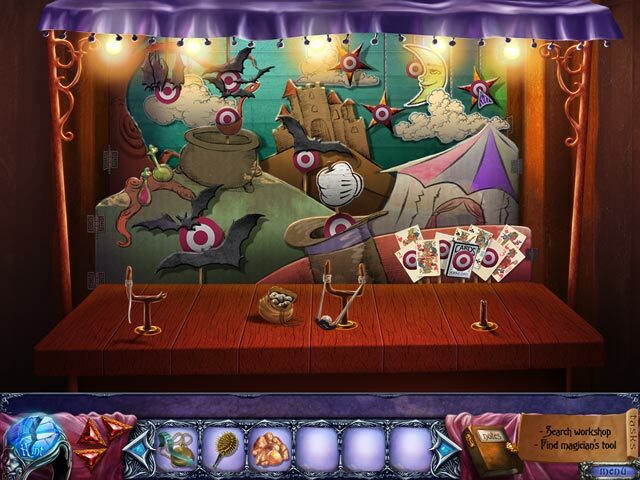 Rated 5 out of 5 by BlackWaterRules from Fun Puzzle Adventure Game If you love puzzles you will love this game. 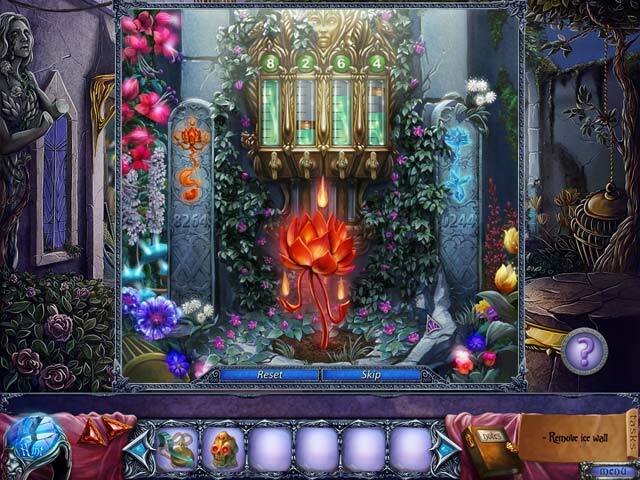 There is one puzzle after another, there is not much for hidden object lovers but there is plenty for the puzzler to engage in: secret locks, water fountains, portrait puzzles, you name it. There are hours of fun here, in this visually beautiful game, with a soothing soundtrack and nice voiceovers. Rated 5 out of 5 by sapoe from love it! this is gem, everyone! definitely 5 stars for me. I love everything in this game. ah..no hos! if you like puzzles than pick this! you will never regret it. anyway good job developer, thank you! I hope there will be another game from this series. Rated 5 out of 5 by boatgirl4347 from STUNNINGLY BEAUTIFUL!!!! MY FELLOW FISHIES YOU ARE BLIND!!!! I LOVED IT!!! GOT IT AS A EXTRA FOR 99CENTS WOULD HAVE PAYED THE 7BUCKS AMAZING COLOR GREAT STORY FOR ONCE I WAS GLAD NOT TO HAVE TO FIND HUNDREDS OF OBJECTS!!! THIS IS THESE GUYS BEST BY FAR!!! I USED THE HINT BUTTON ALOT!!! DIDNT CARE PUZZELS WERE HARD ALL GENUSLY CREATED WELL DONE!!! Rated 5 out of 5 by centauri272 from Great puzzle/adventure game! This is not a HOG, so don't look for HOS, there aren't any! But it's a great puzzle game! There are 2 game modes. - The graphics are crisp, with wonderful colors. - The story is very interesting, there are not many dialogs. 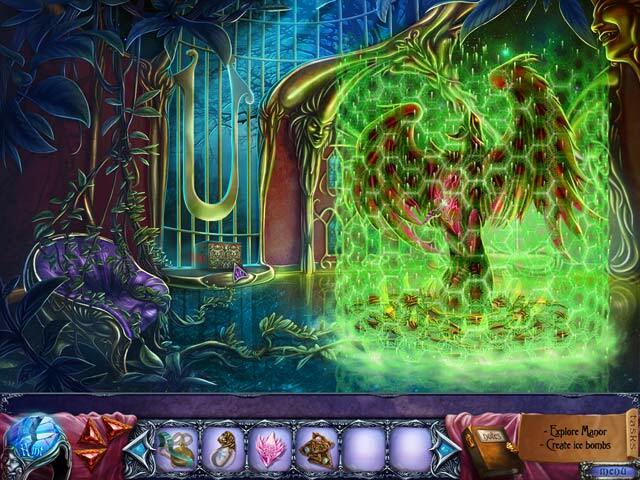 - The puzzles go from easy to really challenging! Most of them are unique. - There is a journal but no map. I missed it, since there is a lot of walking. - The hint system is good, telling you what to do next. The game has a good length; for me, without skipping, it was about 4 hours. All in all, a nice, interesting game! Save a loving couple from the clutches of a powerful alchemist in Break the Curse: The Crimson Gems!